Kitty began her real estate career after moving to Grayton Beach in 1992 from Houston, Texas. While growing up in Atlanta, GA, Kitty spent every summer in Grayton Beach at her grandmother’s cottage at “The Coast.” Kitty graduated from Florida State University majoring in Interior Design. After serving as a space planning manager with a Houston architectural firm, Kitty moved the family to Grayton Beach in 1992. Kitty followed in her father’s footsteps and became a Realtor, then a Broker. She was Sales Manager/Broker and part owner of Rivard Realty of South Walton for 10 years. After selling out to a partner, Kitty formed Grayton Coast Properties in 2005. 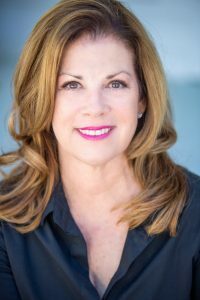 Her brokerage management, marketing experience and interior design knowledge are invaluable assets for buyers and sellers. Kitty holds a Graduate Realtor Institute designation (GRI) and is a Certified Residential Specialist (CRS.) Kitty also holds the Certified International Property Specialist (CIPS) and Resort and Second Home Property Specialist (RSPS) designations. She served as a Director of Emerald Coast Association of Realtors from 2008-2010. She was awarded the South Walton Realtor of the Year in 2010. She has served on the Global Council and Grievance Committee. Kitty has also served on the Global Council and Second Home Property Specialist forum with Florida Realtors. Currently she is a Director at Florida Realtors. Kitty is involved with the Emerald Coast Association of Realtors serving on the Board of Directors as Vice President in 2018. She is also currently serving as Chair of the Leadership Development Program (LDP.) Kitty was recently honored with the 2017 Realtor of the Year for the Emerald Coast Association of Realtors. She has 4 granddaughters, 4 and under and is enjoying them immensely. Kitty’s son, Taylor Frappier lives in Texas. Her daughter, Cat Ryland, is a Broker Associate and is now working with Kitty at Grayton Coast Properties. Kitty is active in the community and has served on local boards, including South Walton Rotary Club and the Seaside Neighborhood School. She is an active member of Pt. Washington United Methodist Church. Kitty’s knowledge of the area, her integrity, her own investment in rental properties, her family’s long history in Grayton Beach and her personal relationships are what set her apart.